Last year I ran my first official Undiscovered Moab Photo Tour and it was a huge success. So, this year I decided to offer it again. Join me in Moab May 13-15, 2016 for two solid days of adventure and photography as we explore some of the most spectacular off-the-beaten path locations in Canyon Country. During our time together we'll photograph varied scenery that may include arches framing snowcapped mountains, jaw-dropping canyon views, a wilderness of sandstone fins, colorful wildflowers in a sand dune below an imposing tower and a waterfall in a remote desert slot canyon. The exact itinerary will be determined by the weather and conditions at the time of the tour but rest assured, your camera will get a workout and your memory cards will be full. 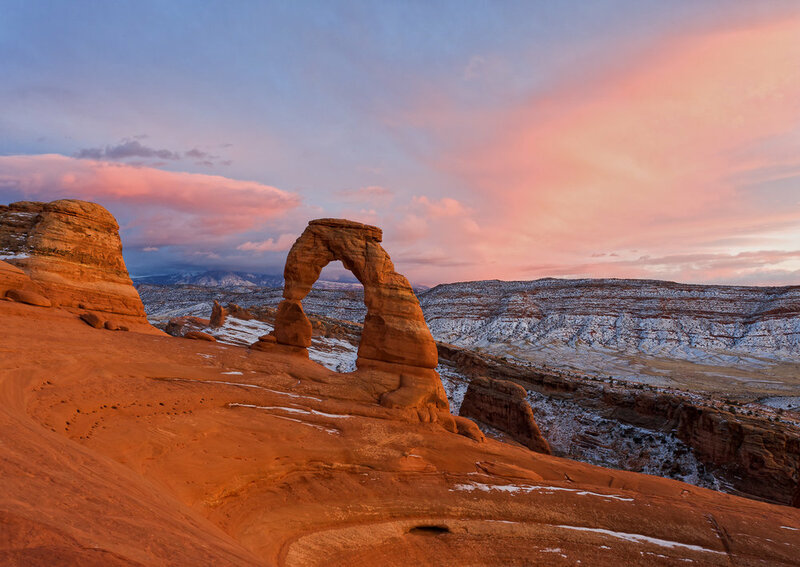 The Undiscovered Moab Photo Tour is only open to three physically fit photographers. We'll access each location via rough four wheel drive roads and/or strenuous hikes. Participants must be able to carry all their equipment in a backpack over difficult terrain and should have some experience in the backcountry. Most meals will be consumed in the field and are not provided. Self-sufficiency is a requirement for participation in this photography tour. 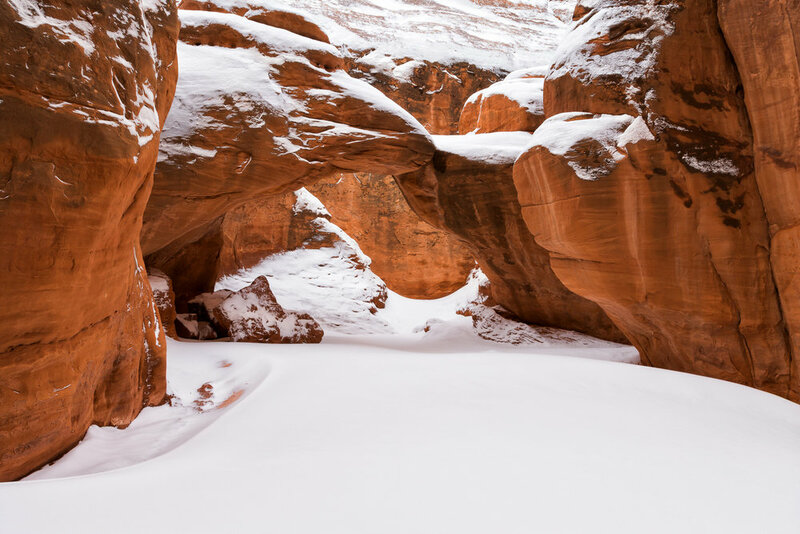 "Toured the backcountry of Moab with Bret and two other photographers this past weekend. As promised we hiked through desert creeks to slot canyon waterfalls, traversed gnarly four-wheel drive roads to dramatic canyon views and discovered hidden arches while scrambling over sandstone boulders. Bret was great about helping us set up our shots and give us his professional advise to get the best shot. The weather was a challenge on Saturday, but Bret always had backup plans so we were never without options should Plan A not be viable. This was a great trip and I highly recommend a tour with Bret. He's easy going and genuinely interested in helping you improve your photography." To learn more about or register for the Undiscovered Moab Photo Tour please click here. You'll also find a slideshow of gorgeous images from some of the locations we may visit.